Prepare for a jumpsuit invasion! Nylon Guys Magazine (not for girls) has jumped into the OnePiece world in a Stars and Stripes Jump In! They “can’t think of a better way to spend a day than under a fleece bodysuit” and we would go along with that! Their web designer, Nick tried it out on the streets of New York. You can see how he got on here. 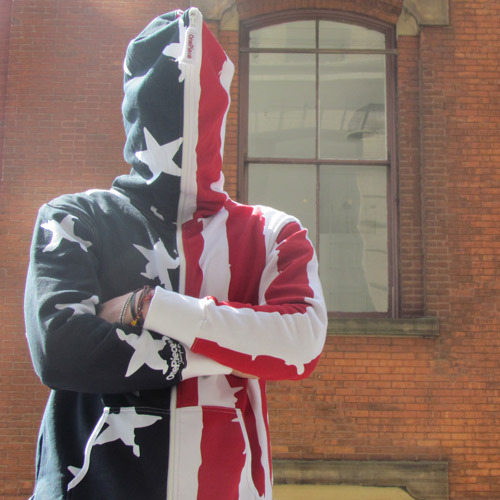 Get your own Stars and Stripes OnePiece at the OnePiece store and join the World of OnePiece!